A Real Website. Not An Affiliate. Go Live Order your php handicapper website today and be live within hours. Customize We can have your website customized any way imaginable. Ready To Be In The Biz Sports handicappers make serious money doing what they love. Add picks, sell services, contact clients, grade games, easily add pages or content and more with a button click. Full management of members including details, add/remove picks and services, text or email, export data and more. Members area, view & order picks / services anytime. Paypal, Stripe And Authorize.net is built in. Send email, texts or web announcements to any or all members even based on their purchases. Team and sports logos, banners, and other graphics already built in. Full image library you can add to anytime. Phones, Tablets, Laptops, Desktops, your site is online and available to everyone. SEO friendly, google updates easily. Your site comes with 1 year of hosting included, then its less than $10 a month. There are no other ongoing costs to run. PHP Handicapper is a real website that you own, not an affiliate. All leads, members and money goes 100% to you. PHP Handicapper accomidates additional pages, members, picks and packages changing with the sports seasons easily. Your own website, keep 100% of the income. Online at your own domain name. Sell picks, stay fresh, manage members, showcase video, and promote your site all under one roof. One price for the website and hosting, we set everything up for you, and even offer custom graphic and integration services. Purchase your website today and start selling your picks today. The sports prediction business is booming, and phphandicapper is perfect for a new capper, an existing one or a website already up and running. We are a global, full service development group providing the highest quality services to professional handicappers. Our clients are our top priority and we are committed to helping each of them reach their full potential as a capper. Taking you further is our approach to business, using our blend of expertise & experience. With an already impressive client list, a history of success and a reliable team dedicated to developing your website busines. After your order is completed, your website will be setup within 24 hours, ususally less. If you want to use your own domain, hosting or install the website yourself and just require the site files, just let us know after purchase. Custom design / modifications and apps require additional time. Your purchase is for 1 website and the site & domain name are yours, as are 100% of all the sales! 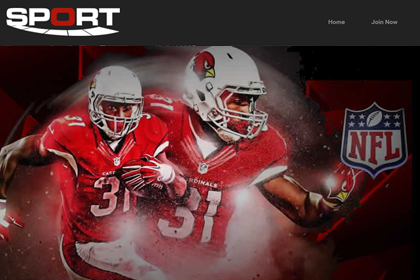 We provide professional and affordable sports web services, just contact us! We have helped many handicappers and sports pros succeed on the web and beyond. From banner ads to complicated algorythms and everything in between, Our team of dedicated developers gets the job done right, and on time. Our knowledge in this industry is unparalleled. Influence your services to potential customers. Eye Catching design. Leads realtime text/emailed. Your ideas brought to life online and profitable. 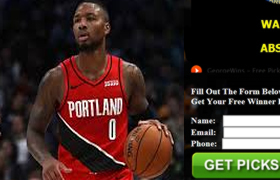 Offer sports picks & services for any and all sporting events on your own website that is responsive and compatible on all devices. The handicapping industry leader for new or existing web based handicappers. 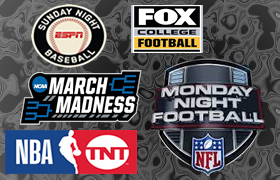 Give sports selections to your clients with a click of a mouse. Every feature for your handicapping business is made easy. Php Handicapper™ can be setup on your own domain, tied to your paypal, stripe, or authorize.net account, hosted online and ready for you within a few hours. 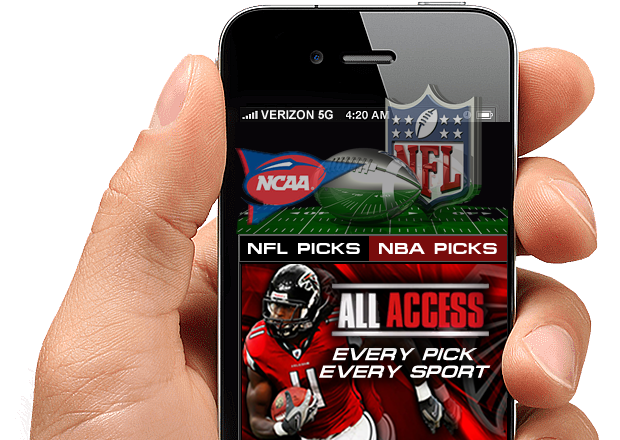 Offer Unlimited Picks & Services In Any Sport. Individual, Weekly, Season. Easy One Click Updating & Paypal, Stripe, Authorize.net Integrated. Full website control. Members Area, Order New Picks & Services, Optional Record Tracking. Your clients will enjoy the 24/7 access to their services, and can order anything anytime. Additional Services, Everything You Need To Be In The Sports Biz. From landing pages and banners to leads and ad campaign management, your covered. An experienced sports advantage for over 15 years. There is not much we havent seen or done, so your questions can always be answered. Have the best looking and most feature rich website working and growing with you. We'll take care of the tech stuff so your ready to go. Smoothe transition. We can take your existing clients, logo, plus content and integrate it perfectly without any downtime. What happens after I purchase php handicapper? 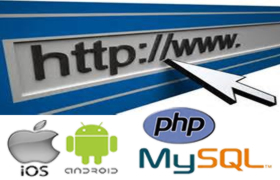 Your website and existing or new domain name will be setup for you. If design is needed we will contact you for the details & keep you informed of updating. Once completed we will do a walkthrough with you. Is it easy to learn and manage my website ? Yes, the learning curve is small and instructions are included, plus a realtime walkthrough is performed with you. Do I own my website and domain ? Yes, your purchase is for one website and the domain name is yours, as are 100% of all the sales! What are the opt in through text leads ? Opt in text marketing phone numbers with your message that they respond back positve to. Only the responses count towards your lead amount, not the actual amount we send. For example we sent 1000 texts and 75 responded, the 75 would be counted as leads. Can you tell me more about the apps? They are custom created to connect to your site and are compliant for both androids play store and ios itunes. Once completed an account is needed on both platforms by you, and there is a small cost by both google and apple to have the apps in their stores. We will do the setup etc for you if desired. when you downloaded this script you agreed to accept the terms of this agreement. this agreement is a legal contract, which specifies the terms of the license and warranty limitation between you and phphandicapper.com. you should carefully read the following terms and conditions before installing or using this software. unless you have a different license agreement obtained from phphandicapper.com, installation or use of this software indicates your acceptance of the license and warranty limitation terms contained in this agreement. if you do not agree to the terms of this agreement, promptly delete and destroy all copies of the software. only one copy of the registered version of phphandicapper.com may used on one website. the script may be modified but can not be cloned or used on any other website. it can not be used in multiple instances in any way. modifications done to any script files voids any and all warranty. distributing the software and/or documentation with other products (commercial or otherwise) or by other than electronic means without phphandicapper.com's prior written permission is forbidden. all rights to the phphandicapper.com software and documentation not expressly granted under this agreement are reserved to phphandicapper.com. Disclaimer of Warranty this software and accompanying documentation are provided "as is" and without warranties as to performance of merchantability or any other warranties whether expressed or implied. because of the various hardware and software environments into which phphandicapper.com may be used, no warranty of fitness for a particular purpose is offered. the user must assume the entire risk of using this program. any liability of phphandicapper.com will be limited exclusively to product replacement only, no refund of purchase price. in no case shall phphandicapper.com be liable for any incidental, special or consequential damages or loss, including, without limitation, lost profits or the inability to use equipment or access data, whether such damages are based upon a breach of express or implied warranties, breach of contract, negligence, strict tort, or any other legal theory. this is true even if phphandicapper.com is advised of the possibility of such damages. in no case will phphandicapper.com' liability exceed the amount of the license fee actually paid by licensee to phphandicapper.com. Have Custom Needs Or Integration? We can do just about anything, give us a call or text and lets discuss it.